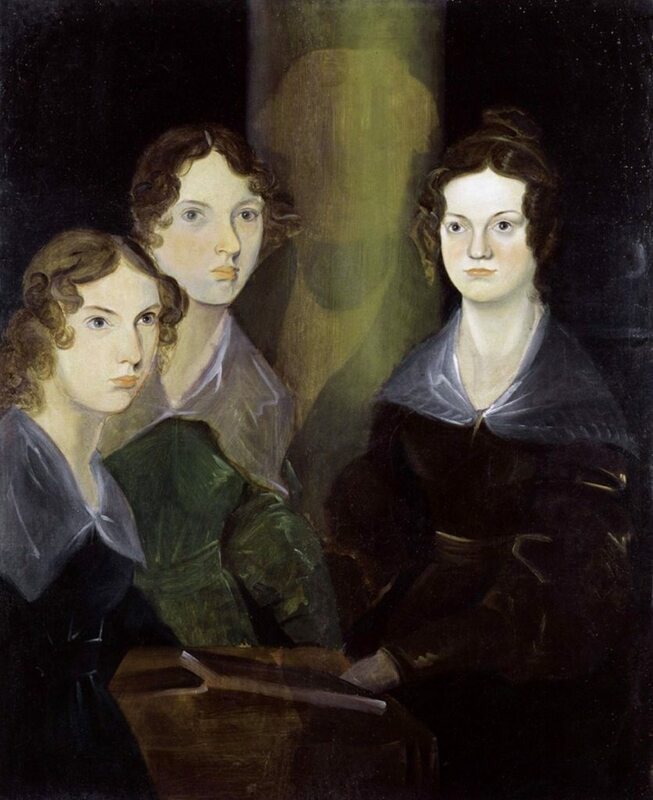 Portrait of Anne, Emily and Charlotte Bronte, painted by their brother Branwell. Raised in the mid 19th-century in the parsonage of Haworth in a small village in the countryside of Northern England, Charlotte, Emily and Anne Brontë created what have come to be considered some of the greatest works of literature, despite the isolation and often devastating conditions that defined their short lives. The sisters experienced grief at a young age, along with their older and only brother Branwell, with the deaths first of their mother, and then their two older sisters, Maria and Elizabeth who contracted tuberculosis while attending boarding school. It was not uncommon for residents of the village to experience death on a daily basis. The parsonage, in particular, was a breeding ground for unsanitary conditions as the cemetery on its hilltop fed directly into the home’s well. Life expectancy was less than 25 years and the infant mortality rate was just over forty percent throughout many of the isolated countryside villages in Northern England at the time. Despite Victorian ideals regarding the roles of women, the Brontë sisters’ father encouraged their education and all three were eventually offered teaching positions; first Charlotte, and then Emily and Anne after both spent time working as governesses. 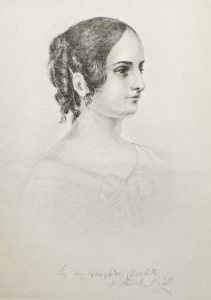 Charlotte, the eldest remaining sister, was the driving force behind the publication of the sisters’ works; a passion that all three had developed very early in life as a form of play in the isolation of their father’s parsonage. Heavily influenced by the writers featured in the periodicals read by their father, the sisters’ stories featured heroes reminiscent of those of Lord Byron; filled with passion, sexuality, arrogance and even malice. Once the sisters were established in their careers as schoolteachers, Charlotte proposed that the three go in on a joint publication of poems. She found it difficult to find a publisher willing to make the commercial risk of publishing women’s writing and so the works were finally published in 1846 under the condition that the sisters use the male pseudonyms of Currer (Charlotte), Ellis (Emily), and Acton (Anne) Bell. 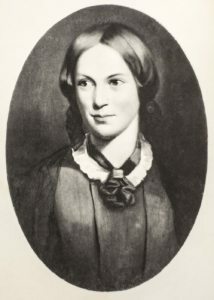 The Poems of 1846 attracted little attention, but the following year Charlotte’s Jane Eyre, Emily’s Wuthering Heights, and Anne’s Agnes Grey were published (after dozens of rejections) and received glowing critical acclaim, leading to their relative fame when they were finally able to prove to be the works’ true authors. Of the three novels (all of which are now considered to be masterpieces of English literature), Charlotte’s Jane Eyre received the highest praise and is considered to have revolutionized the art of the novel for its intimate and emotional portrayal of the private consciousness of its eponymous heroine. Until Jane Eyre, such internalization was found only in poetry; this blending of intense emotional experience and the format of the novel changed the art of English literature and left a profound influence on future writers, particularly on the work of James Joyce and Marcel Proust. Through describing Jane Eyre’s emotional experiences as she progressed through life, attending school and working as a governess, Charlotte explored themes relevant to the Victorian Era particularly concerning sexuality, social class, and feminism. 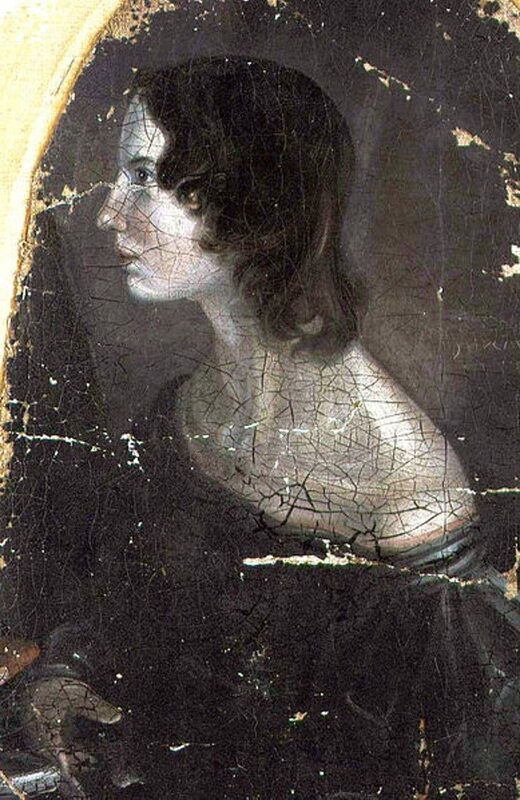 Emily Brontë’s only novel, Wuthering Heights, has been argued by many critics to be superior to Charlotte’s Jane Eyre, however, at the time of publication was considered to be relatively controversial. It received mixed reviews for its commentary on the hypocrisy of Victorian ideals including gender inequality and religion, and depictions of emotional and physical cruelty. A haunting story of love, loss, and betrayal, Wuthering Heights told the tale the often tragic lives of multiple generations of two isolated estates in the moors of the English countryside. .
Anne Brontë’s debut novel of 1847, Agnes Grey, followed the life of a governess working for families of the English gentry and, like Jane Eyre, addressed issues of sexuality, gender roles, and feminism and even the oppression and abuse of women. 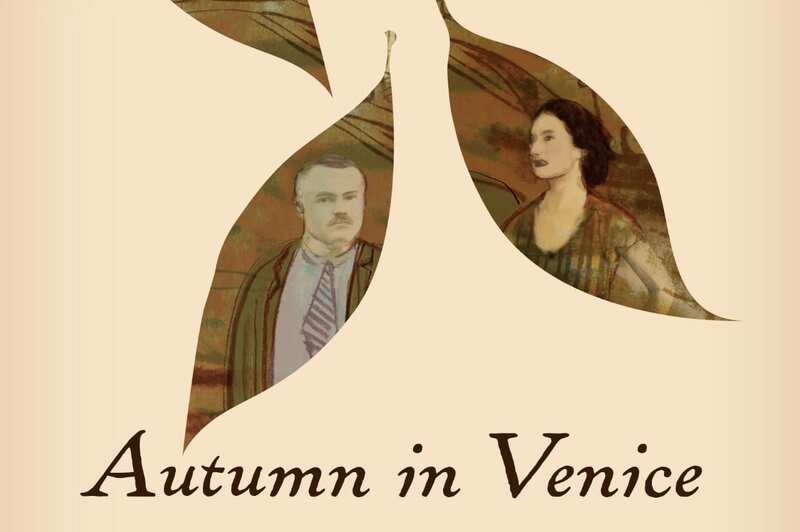 It received mixed reviews for the often ‘vulgar’ depictions of its title character’s experiences yet was revered for its mastery of language. Through their beautiful and honest prose, all three sisters’ works exposed many of the hidden plights of women growing up and maturing in lower middle class Northern England, including the terrible conditions of boarding schools that ultimately led to their elder sisters’ deaths, and the precarious expectations, treatment, and role of women in governess and teaching positions. Emily died in 1848 at the age of 30, four months after the death of her only brother Branwell, and a year after the publication of Wuthering Heights. Anne soon followed her, dying at the age of 29 in 1849. Charlotte lived until the age of 38. She died in 1855 and was the only of the three sisters to marry. 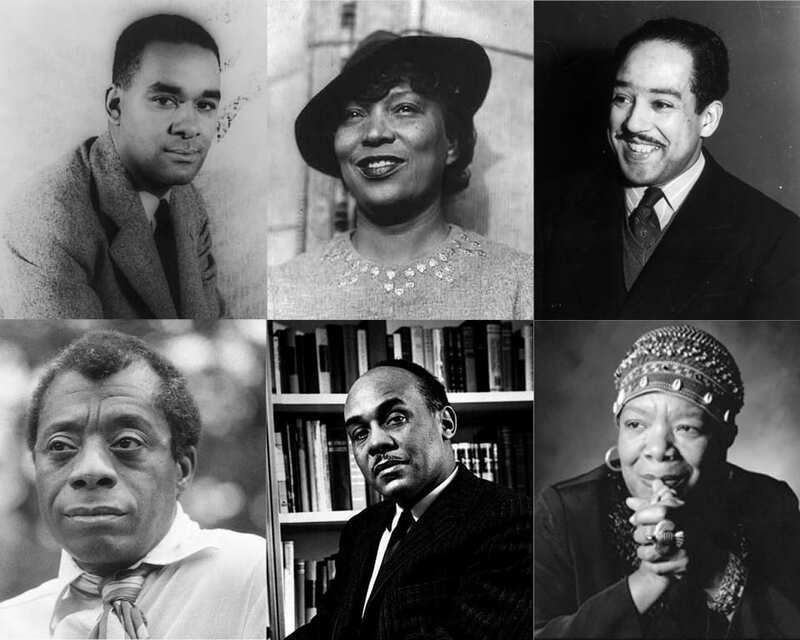 Because of their isolation, their work has its own solitary place in the canon of literature yet has left a significant and remarkable influence. 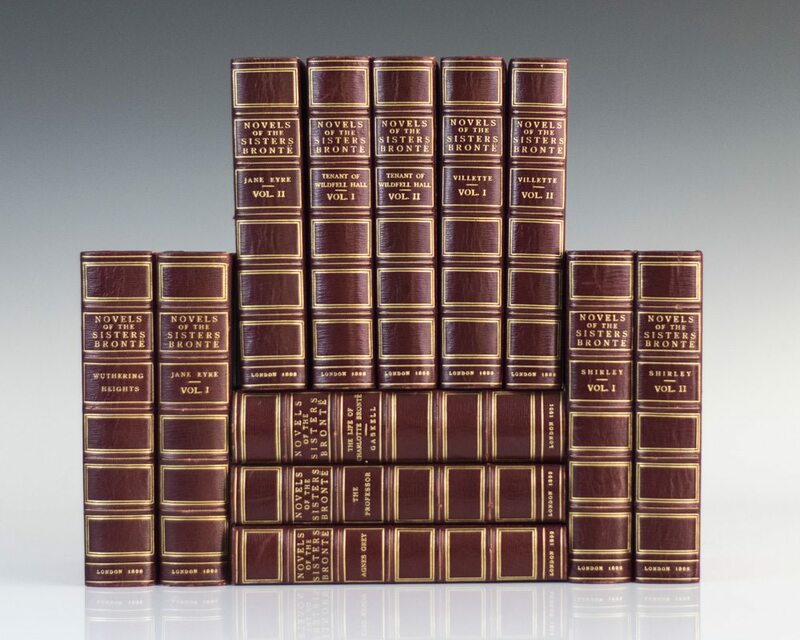 Our collection currently includes two finely bound sets of The Works of the Sisters Brontë which are now on view in our new gallery on Worth Avenue in Palm Beach, Florida. 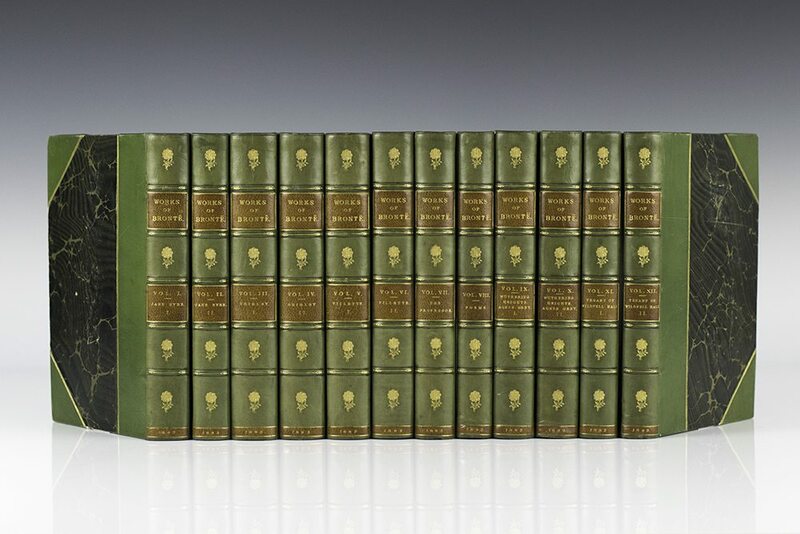 The Works of the Sisters Bronte; Finely bound by Macdonald in three quarters morocco with seven engraved plates. The Works of the Sisters Bronte; Elegantly bound in in three quarters morocco with illustrations in each volume. One of 150 Large Paper Editions.